Earlier this day, NTT DoCoMo made public the new set of smartphones they are going to offer very soon. One of them is the Samsung Galaxy S3 which we all know comes with a 1.4 GH processor. It seems that NTT DoCoMo decided to make an impressive change to the S3 and clock the processor to an upstanding speed of 1.6 GHz. The Galaxy S3 Alpha, as it will be called, seems to have gotten really close to the performance of international version of the Galaxy Note 2. This improvement should take the smartphone to a new level, knowing that it is already pretty impressive in performance. 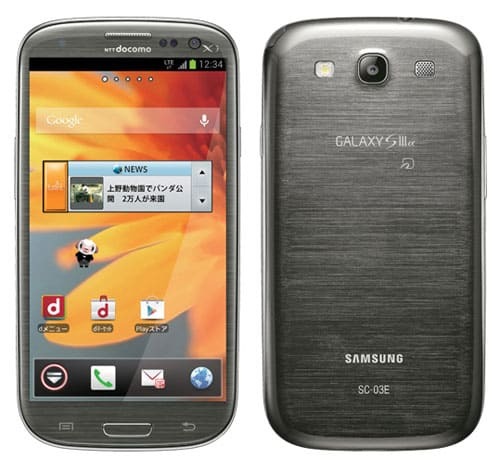 Another impressive move with the Japanese Galaxy S3 is that it will be launched with Android 4.1 Jelly Bean. The available colors will be Titanium Gray and Sapphire Black as we will see in December.